DVL provides cooling, uninterruptible power, and monitoring for mission critical applications, data centers, server rooms, and IT closets in Eastern and Central Pennsylvania, Southern New Jersey, Delaware, Colorado, Southern Wyoming, and New Mexico. 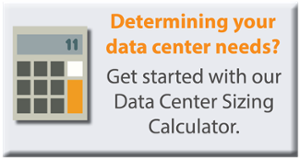 Our engineers are experts in applying data center design best practices. This provides customers with reliable energy efficient technology. Our goal is to provide the best data center infrastructure solutions available, whether you are an enterprise data center or in the cloud.